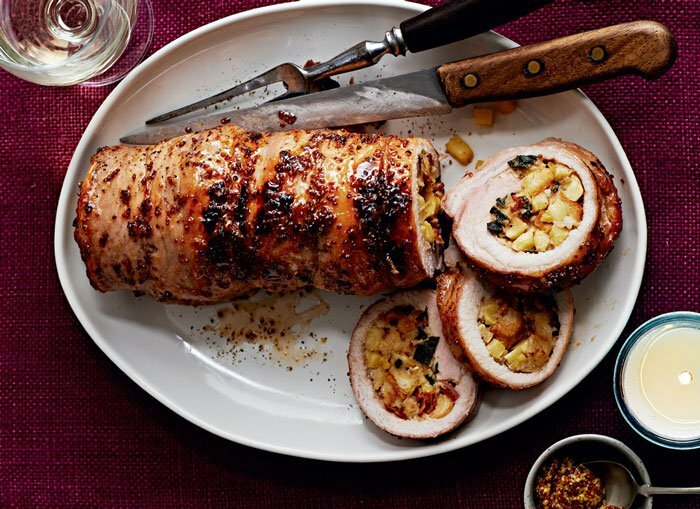 As Vietnam is celebrating the Reunification Day and Labor Day on April 30 and May 5, you may want to check out the following recipe for roasted pork loin with ginger – a popular dish for festive dinners in Western countries. Compared to the traditional recipe, this one gets a sour and spicy yet sweet twist with ginger, apple and honey, promising to be a pleasant surprise for your family or friends at gatherings during the long holiday. Moreover, it is quite simple, especially when you own an ICONIC oven where you can find the recipe on Cookbook and follow the smart function’s detailed instructions. 1. Preheat oven to 180°C. Slice the meat along its entire length and open out like a book. 2. Chop 1 apple. Mix it with onion, dried plums, crushed biscuits, egg yolk, salt and pepper. Spread the mixture onto the meat. Fold it and tie with string. 3. Place the meat in a roasting pan. Add the broth and wine. Cover tightly with aluminum foil. Bake for 2 hours. 4. After 45 minutes pour the olive oil into another roasting pan, set it in the oven over the dish with meat and warm for 5 minutes. Add the parsnips and roast, turning over twice. 5. Prepare the stewed apples. Place the apples, ginger and sugar in a saucepan. Add 2 tablespoons water, cover and simmer until the apples are tender. 6. After 1 1/2 hour of roasting the meat, remove the foil from the pan. 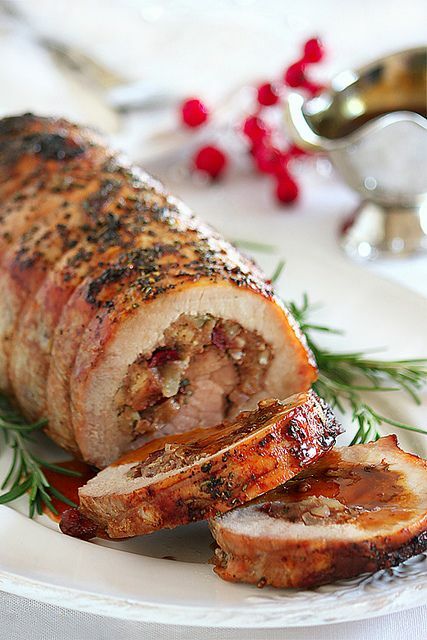 Drizzle the pork with honey. Add the shallots and parsnips, stir and continue to bake. 7. About 20 minutes before roasting ends, slice 2 apples. Add to the meat and vegetables. 8. Remove the cooked meat, slice. Drain the sauce into a saucepan and cook for 2 minutes. Pour into a sauceboat. Serve the meat with roasted vegetables, stewed apples and sauce. Fry the shredded cabbage (500 g) for 5 minutes on a tablespoon of sunflower oil. Add 2 diced apples, 3 tablespoons vinegar, 3 tablespoons water, 2 tablespoons honey, salt and pepper to taste. Mix and simmer for 4-5 minutes on a low heat.